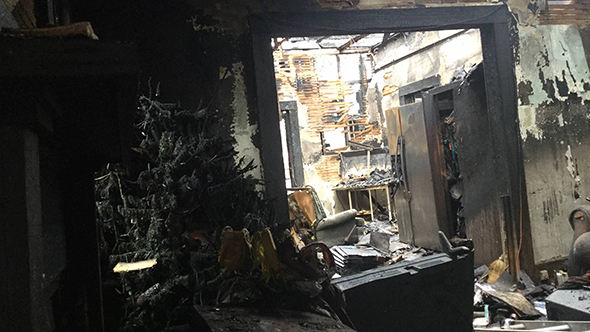 On December 13, Laura Hunsucker lost her home of 21 years to a fire started by a faulty dryer. Hunsucker had been an avid Guild Wars player, logging thousands of hours into both the original game and its sequel under the name Siadina. When developers ArenaNet learned that one of their most avid players had lost her home, they chipped in to help make her next steps a bit easier. The fire claimed the entire home, and though the family was unharmed two pets – dogs Ginger and Rosie – did not. Most of Siadina’s possessions were lost in the disaster, but she did find one thing among the wreckage intact: a collector’s edition of the Guild Wars expansion, Nightfall. When she posted the find to social media, she drew the attention of the developers. 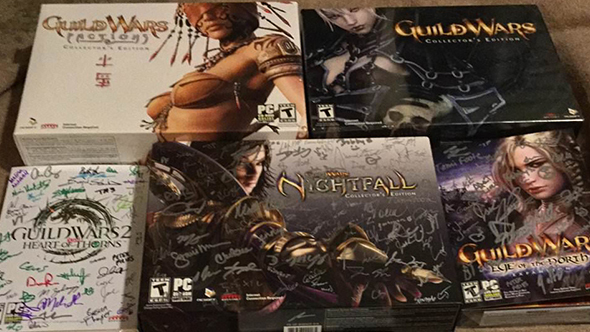 ArenaNet donated $3,500 dollars to Siadina’s GoFundMe campaign following the fire, and provided her with a set of collector’s editions and expansions from throughout the series, all signed by the development team. With the help of that donation, the fundraiser has well exceeded its $5,000 goal, helping the family sort out rent and living expenses for the next few months.